The morning TV veteran is ‘set to become a permanent host on Good Morning Britain’ after ratings on the show surged during his time as guest presenter. While Piers Morgan took time off to focus on his Life Stories series in America, Richard filled the seat alongside Susanna Reid, Charlotte Hawkins , Kate Garraway and Ben Shephard. Richard’s interview with Defence Secretary Gavin Williamson went viral after he cut the minister off for failing to give a straight answer, "terminating" the interview after a short amount of time. 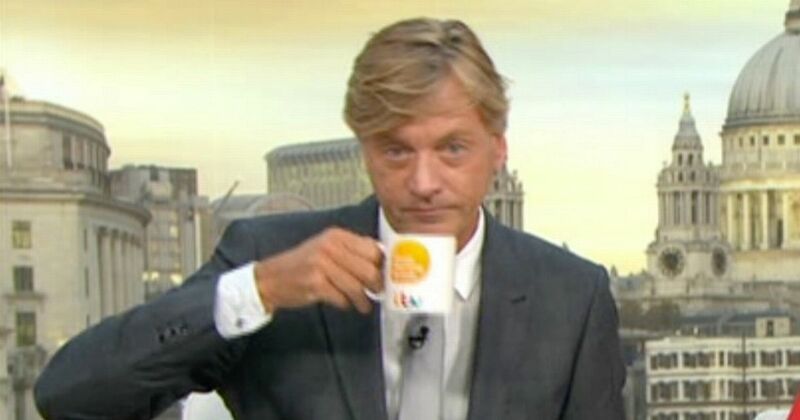 Richard Madeley terminates interview with Tory defence minister Gavin Williamson for "refusing to answer the question"
A studio source told The Sun : "Richard polls really well with viewers, and also garners a big social media response whenever he’s on. He guest-hosted the show while Matthew entered the I’m a Celebrity, Get Me Out of Here jungle and has since made guest appearances on various shows over the years. Good Morning Britain also had it’s first ever evening edition, Good Evening Britain, reflecting on England’s World Cup loss to Belgium, hosted by controversial host Piers and the long-suffering Susanna.